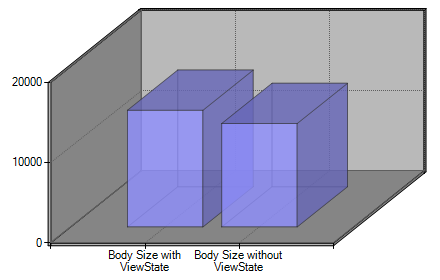 *As most of you know, in any ASP.NET project (SharePoint included) there’s something you know as ViewState. With the ViewState we can persist state of our properties in the page controls and objects across postbacks that happen in our solutions. If we are not careful and plan the usage of ViewState properly, we can end up with a performance hit that will slightly decrease the performance in the page rendering process. In this article we will take a look at what impact the ViewState can have if we “forget about it”, and of course how we can prevent our pages from being unnecessarily big in page size. If you’ve been developing SharePoint projects of any type, you’ve most certainly been doing some kind of asp.net UI development as well. (Application Pages, Web Parts, User Controls and so on) that are inheriting the asp.net capabilities and hence the ViewState. What you should know as an ASP.NET developer: Be sure to know when you should, or shouldn’t use the ViewState. You can disable the usage of ViewState for certain components, or the entire page. 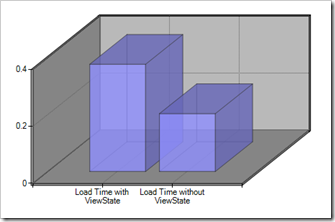 We’ll take a quick look at how the performance can differ when we’re using ViewState and when we’re disabling the ViewState in a SharePoint project. In order for us to really understand what impact the ViewState can have on the page rendering process, we’ll dig into the details of the what the ViewState looks like. To do this we can check out the source of the rendered page, and of course we’ll rely on our faithful squire; Fiddler2. Before we’ll start digging with the Fiddler2-application, we can simply check the Page Source of any given page being rendered and we’ll most likely find a heap of ViewState madness going on in there. What impact can these few lines of markup have on the page rendering process anyway, you say? Well, in order to find out – let’s summon our good friend Fiddler2 and do a quick comparison. So what can I do to tune and tweak the ViewState? 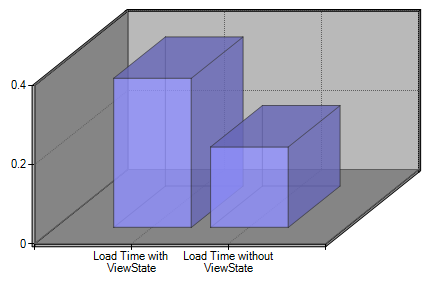 There’s generally two good initial tips for tuning the ViewState. In addition to being aware of the ViewState in any asp.net project, you should take a look at HTTP Compression that you can enable in IIS. Alright – the summer is officially over (at least of you take a look at the recent weather) and I’m back in the saddle. 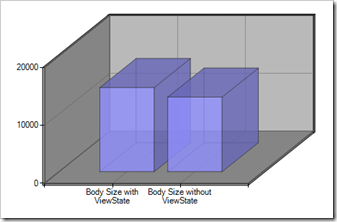 In this article I’ve been talking a bit about how the ViewState can impact your performance in any asp.net project (hence SharePoint project). The reason for talking about it is that I’ve seen quite the amount of projects as of late that doesn’t think about the impact a huge ViewState can have on the time it takes to download and render a page on the client. An important consideration that I’ve learned throughout all our projects to create Internet-facing sites based on SharePoint (or plain old ASP.NET) is to measure the performance in different scenarios, including some stress testing and load tests. In most of these projects we’ve seen an increased performance if we take time to select what components or pages should disable ViewState. It might be worth considering.